Run With US! Home - Run With US! Inspiring our nation’s kids to live active, healthy lives and go after their goals while simultaneously supporting America’s Olympic hopefuls. The options are endless, see what we can do! 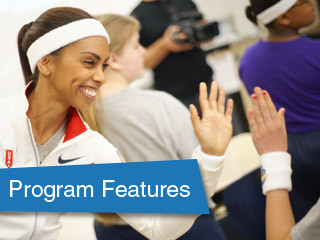 Learn about the Foundation’s pledge to create an active and healthy next generation. Run With US! is spanning the country! 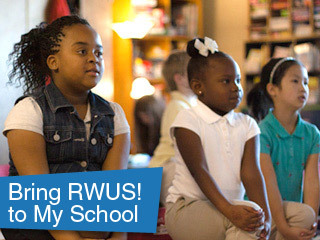 We hope and strive to continue our expansion into more school systems in need. See first-hand the amazing impact Run With US! had at John Muir Middle School in Los Angeles. Hear from Run With US! athlete mentors Carmelita Jeter, Zoila Gomez, Brandon Shaw, and Ryan Wilson. We can get there if you Run With US! If you are a school or organization looking to bring the Run With US! 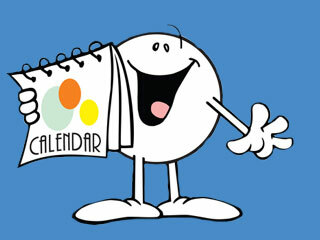 experience to your community, please do not hesitate to contact us. We depend on our local community partners to stand by us as we teach children the benefit of a healthy and active lifestyle! 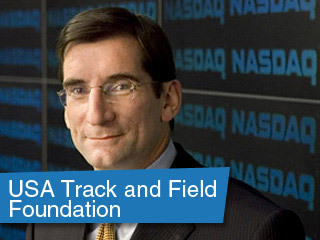 The USATF Foundation believes deeply in the power of sport and the unique role modeling potential of professional track & field athletes. The Track & Field and Running communities are uniquely positioned to drive meaningful, measurable change in the health of our nation’s youth. Run With US! is a remarkable program working to instill health, fitness, nutrition, goal setting, and high self-esteem in children across America. Help us help the next generation! I just wanted to reach out and say thank you for the opportunity to go to Monument Elementary today. I thought the event went great! Working with the kids and seeing their faces when McPufferson came out was definitely one of the highlights. I hope to continue to work with USATF Foundation, GoNoodle, and the Run with US program in the future! The event was a tremendous success and so much fun! I don’t think I’ve ever felt more like a celebrity in my entire life. 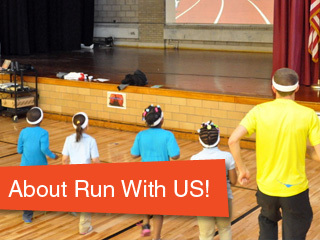 Run with Us is such a cool program for the kids (and adults too) and its presence transforms the classroom culture. To watch it on a video is one thing, but to actually experience it with the children and see first-hand the innovation at work was truly inspiring. Thank you so much for thinking about NJ*NY and creating an opportunity for us to work with Monument Elementary! I had a wonderful time, words can not express my gratitude. From the time I arrived from the time I left it was a great experience. The crew was extremely nice, and very welcoming. It made me feel very comfortable, and excited. Thank you so much for this experience. It was not only a great experience, but, it was a great inspiration to me especially as I get closer and closer to the Olympic Trials/Games.